Given the fuss occasioned by her PhD thesis, I was interested to look at the document produced for Judy Wilyman’s MSc (available here on-line), largely to see what attention had been given to the science content and perspectives. Having examined or adjudicated a number of Masters theses in the sciences, I’ve a reasonably good idea of the standards of scholarship and scientific knowledge expected from this level of graduate research. to provide supportive evidence for the Australian Government’s Pertussis Immunisation Policy. Vaccination is a medical intervention that introduces a suspension of live (attenuated) or inactivated microorganisms and chemical substances into a healthy body to induce immunity to a particular disease (Stern A. and Markel H, 2005). 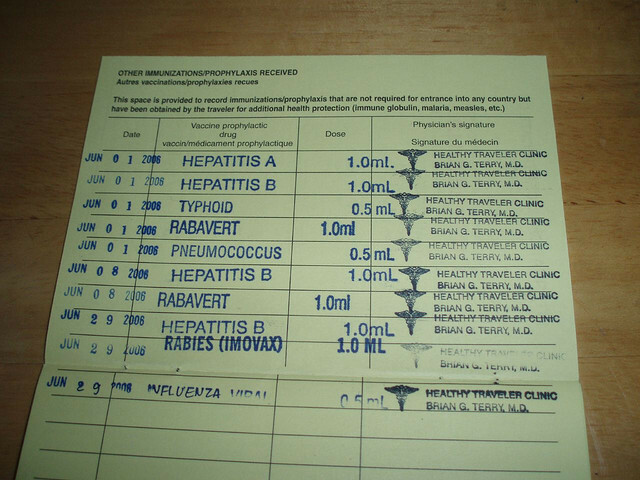 preservatives, antibiotics and adjuvants that are contained in a vaccine carrier. Therefore it is important to consider the cumulative and synergistic effects of chemicals in vaccines and any other drugs taken at the same time. This policy applies to all individuals so consideration should also be given to the knowledge that exists on genetic factors that predispose some children to greater risks. This risk must be weighed against an accurate knowledge of the chances of harm being caused by the disease itself. On the surface, this sounds reasonable. I’d therefore expect, in an MSc thesis, a section setting out the current state of knowledge about the workings of the immune system, a brief explanation of how vaccine safety is assessed, and data on morbidity and mortality associated with pertussis (the Vaccine-Preventable Disease, VPD, that is the subject of the thesis). So it was disconcerting to find that at least some references are rather outdated. The discussion of immunity, for example, appears to be based on a textbook published in 1952. This is unusual, given the advances in our understanding that have occurred in the intervening 60+ years. This is also true for the source of a statement (citation published in 1956) that VPDs are no longer a cause of infant mortality. Complications or morbidity from pertussis disease include: 1) Pneumonia – resulting from B.pertussis itself or secondary infections. 2) Atelectasis – a failure of part of the lung to expand due to mucus plugs. 3) Otitis media and sinusitis are common and usually due to S.pneumoniae. 4) Ruptured alveoli and emphysema. 5) Bronchiectasis – widening of the bronchi in which pus forms. 6) Convulsions and encephalopathy (Behrman et al, 1998). Celermajer J, and Brown J, (1966) studied the morbidity due to pertussis over an eleven year period from 1953 – 1964 and concluded pertussis in the Sydney community appears to be only infrequently associated with neurological complications and these tend to be mild in nature. This does rather gloss over all the other forms of morbidity identified above and raises some concerns about special pleading. In addition, there is again some concern around the date of the reference; is this statement supported by more recent reviews of the data (the thesis was submitted in 2007)? Incidentally, the scientific and medical communities agree that no vaccination is 100% effective; around 70-90% of those receiving the pertussis vaccine acquire full immunity. However, it is an interesting use of stats to suggest (p. 40) that because approximately 1/3 of children presenting with pertussis to one hospital in 1964 were fully vaccinated, that 1/3 of the fully-vaccinated cohort will still get the disease. There is a good analysis of this concept here. At this point I began to feel that the approach taken in the thesis was intended less to provide ‘supportive evidence’ and more to develop arguments against the use of vaccines. For that reason I skipped ahead to the Conclusions section, because this is often a very informative section of any thesis, where the author’s findings and recommendations are to found. I’m afraid that this section really did confirm my developing impression. Here is one paragraph (p.69), broken down to include my own comments. Prior to the implementation of mass vaccination programs, Burnet M, (1952) indicated that there were many gaps in scientist’s knowledge about the functioning of the human immune system. As I said earlier, the science has moved on & it’s unfortunate that this isn’t reflected in the references. A 62-year-old immunology textbook is going to be more than a little out of date & it seems somewhat disingenuous to rely on this for information on the immune system’s functioning. The accuracy of this statement depends on the vaccine; it is true for pertussis but measles seems to confer life-long immunity in the majority of those vaccinated (no vaccine confers protection on 100% of those receiving it). and a ‘modified infection’ means bacteria or virus’s that are treated with preservatives, antibiotics and stabilizers that parents are not informed about. Well, no, especially in the context of pertussis. Only a live vaccine can induce a ‘modified infection’, and the pertussis vaccine is not a live vaccine. The implication that it is, is of concern in a thesis on this subject. Antibiotics may be used during manufacture of some vaccines but are not ingredients per se, so if present this will only be in extremely small amounts. Preservatives are there to prevent the growth of other, potentially harmful microbes while the vaccines are in storage; similarly stabilisers reduce loss of function over time. These chemicals are known allergens and neurotoxins such as mercury, formaldehyde and aluminium. At this point, the thesis commits distinct errors of omission. The first is that ethyl mercury, in the form of thimerosal, was phased out of pediatric vaccines at the turn of the century. The second is that this form of mercury is readily excreted by the body, unlike methyl mercury, which bioaccumulates (think, Minamata disease). Thirdly, humans produce formaldehyde in their tissues every day as a result of normal metabolic processes, at much higher concentrations than are contained in vaccines ie dose is important. (One might as well argue for banning pears from children’s diets on the basis of their formaldehyde content1. Similarly the stabiliser, polysorbate-80, is also an ingredient in icecream2.) And fourthly, aluminium is ubiquitous in air and water. (Aluminium salts are present in vaccines in tiny quantities as adjuvants, to enhance the immune response.) A thorough literature review should have uncovered this information; as it is, a statement like that cited above could have come directly from anti-vaccination literature. and parents are trying to avoid them in their children’s diet. Yet parents are not being told they are injecting them into their babies bodies at the most vulnerable stage in their development. But again, see above. In addition, the language here has moved away from what would expect and into the area of advocacy for a particular point of view – one that appears to be distinctly against the use of vaccination, and where arguments are based on an incomplete presentation of available information. Not really what one would expect of a thesis at this level. J.Wilyman (2007) An Analysis of the Federal Government’s Pertussis Immunisation Policy. A major research project submitted in (partial) fulfilment of the requirement for the award of the degree of Master of Science, University of Wollongong. 1 The typical concentration of formaldehyde in a pediatric pertussis vaccine is 100μg/dose. The normal concentration in a 2-month-old infant’s blood is 1.1-1.2 mg. In comparison, pears contain 38-60mg/kg . 2 Similarly, a dose of the flu vaccine contains 25 μg of polysorbate 80. A typical adult European ingests around 100 mg of polysorbate 80 mu;g in their daily diet. See other Sciblogs posts on the University of Wollongong thesis here. Featured image: Flickr CC, Merikay Noah.